This guide will help you edit your existing email account in Outlook 2016 and 2013 for Mac. Obs: When you do these changes, Outlook will most probably re-synchronize all emails and folders! This could take some time if you have a lot of emails. 1. 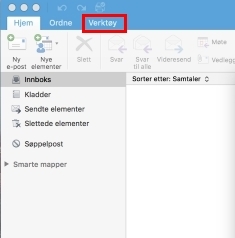 Select «Tools» and «Accounts». 2. 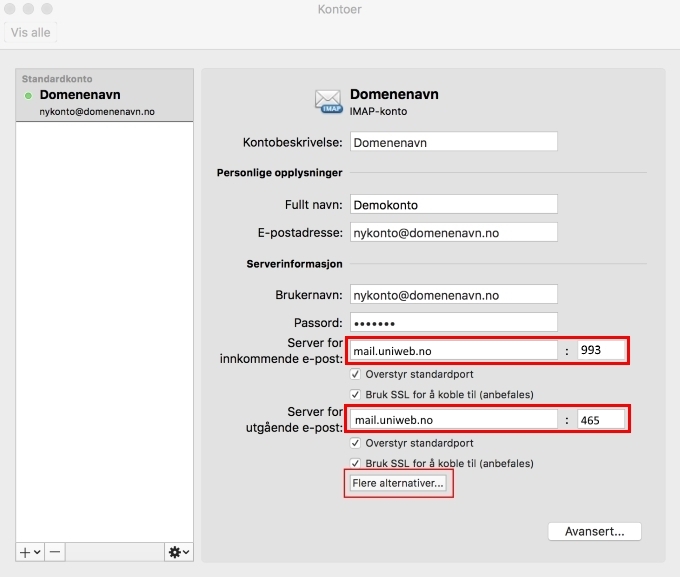 Change the incoming server to: mail.uniweb.se. 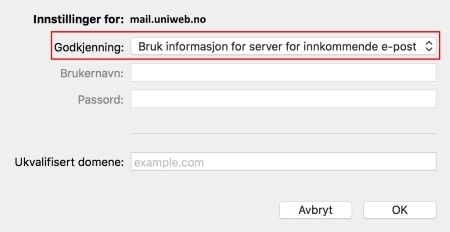 Outgoing server must be: smtp.uniweb.se. Also make sure you use incoming port 993 and outgoing port 465. 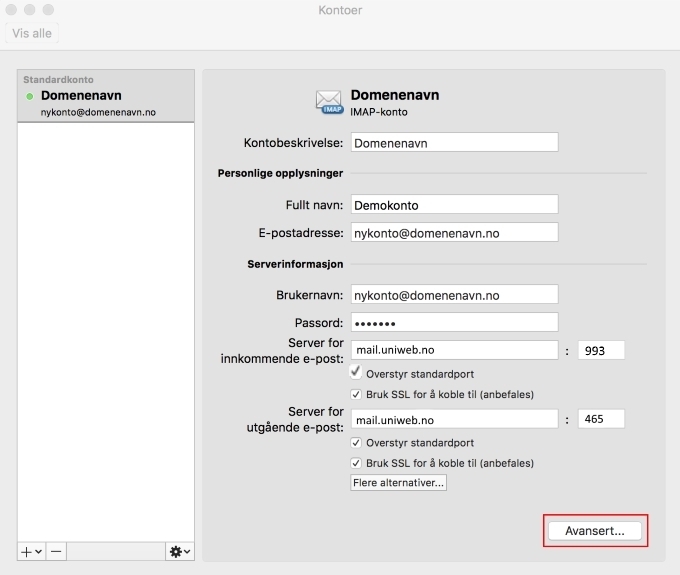 Check the «Use SSL» checkboxes. Select «More settings». 3. Please make sure you’ve selected «Use information for server for incoming email». Click «OK». 5. Click on «Server» tab. 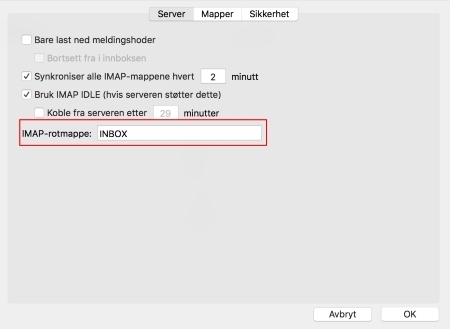 Write «INBOX» in IMAP root folder. Click «OK».